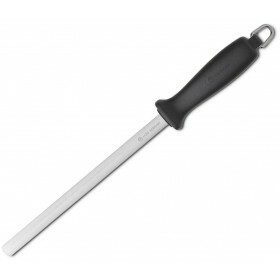 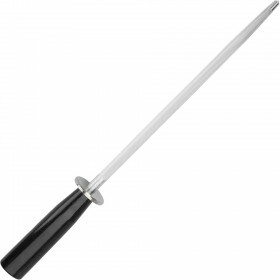 Easily maintain the edge of your kitchen knives with this honing steel. 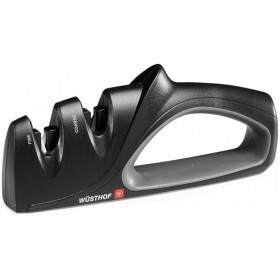 Re-aligns the microscopic teeth on the blade edge without grinding material away. 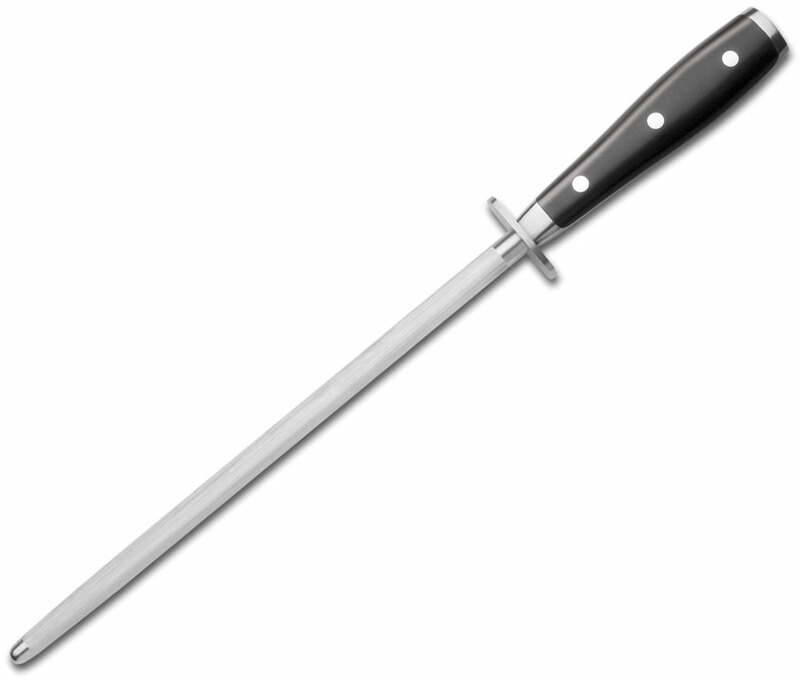 Chromium plated high carbon steel hardened to 65° Rockwell. 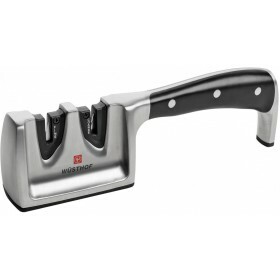 Handle design matches the Wüsthof Classic Ikon range.